IKEA stores attract about 170 million customers worldwide, or about 83 million households. So they got to thinking: even a small percentage of their customers could have an impact on the environment if they tried to live a more sustainable life at home. What if all 170 million of us made small changes in the way we live? Together, we really could make a difference to the planet! Here are a few simple ways to start. 1.A hanging outdoor SOLVINDEN light pendant is wind powered generated. 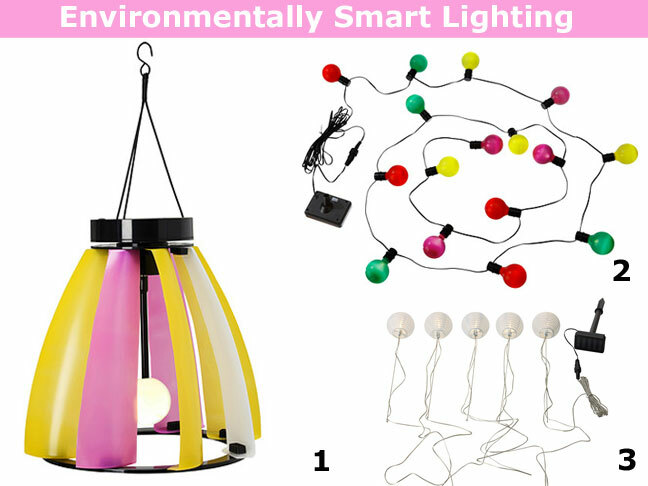 So it lights up your life, but in an eco-friendly way. 2. This summer hang some festive lights to your porch, patio, or deck. The sun converts this SOLVINDEN Solar powered light string into electricity. 3. Line your walkway, garden, or outdoor seating area with SOLVINDEN Solar powered lights. One of the simplest ways to make an impact on the earth is to replace ordinary 60 watt bulb with compact fluorescent light bulbs (CFL). 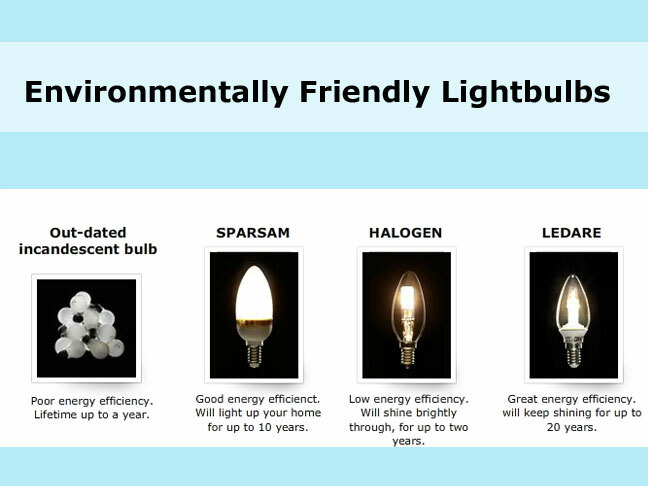 SPARSAM, HALOGEN, and LEDARE bulbs are not only more efficient, but also last a very long time. 1. Run a full dishwasher = less energy and water used. Update your appliances to new energy rated models. They will not only use less energy, but will also save you money. 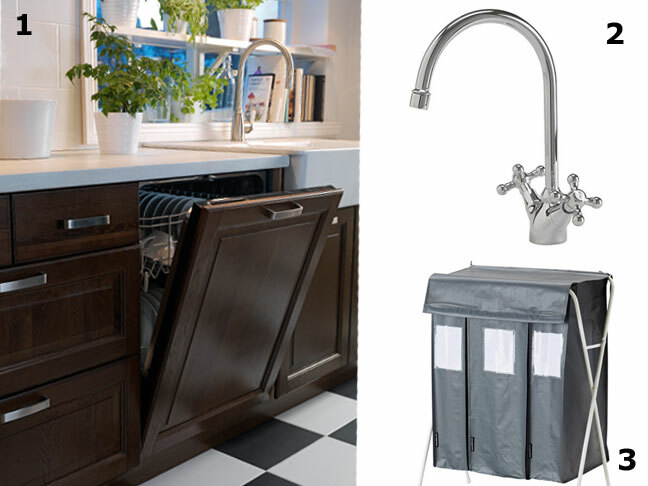 RENLIG Integrated Dishwasher. 2. You will save up to 30% – 50% more water when you use an EDSVIK dual control low flow kitchen faucet. 3. Recycling prevents the need for new resources, which saves energy, reduces water pollution and prevents CO2 emissions. DIMPA Recycling Bag with Stand.